This bread is very similar to last week's bread, pain palladin. The only difference is the ratio of flour to starter, and the omission of olive oil. They are free-formed, with no shaping. 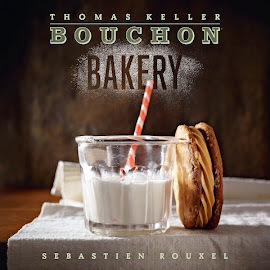 According to the book, this is the bread served at the French Laundry. 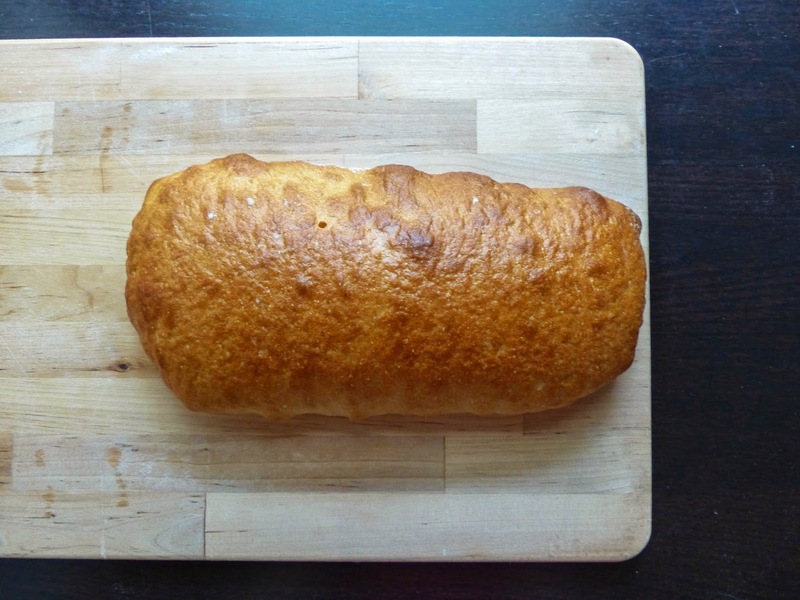 So even if we can't get a reservation, we can still enjoy this tasty bread at home. This bread was named after the famed chef, Jean-Louis Palladin, the youngest chef to have won two Michelin stars at the time. 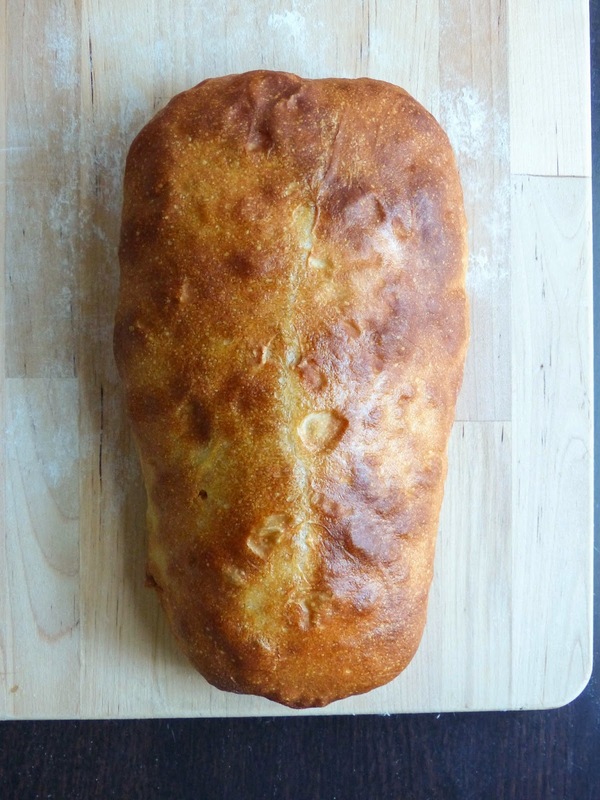 It's a simple, rustic bread, loosely shaped. 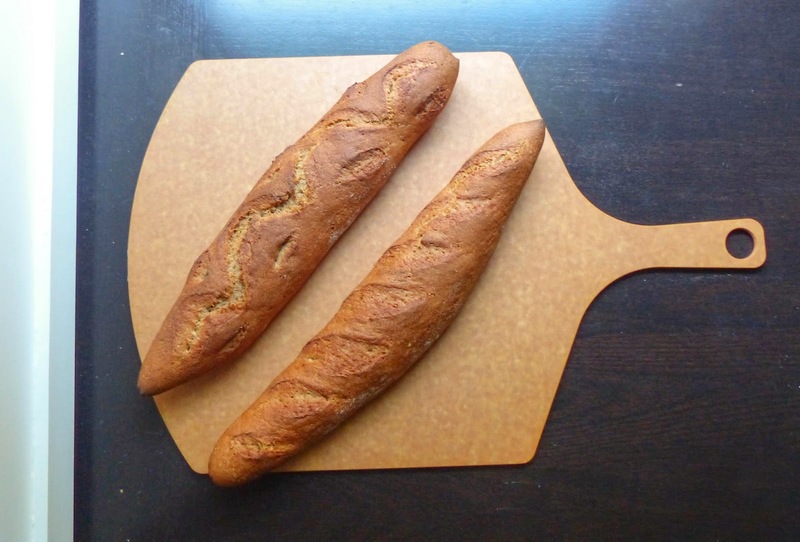 Its cousin, which we bake next week, is Pain Rustique, and they are very similar. The only difference being the addition of olive oil and a longer fermentation time for the pain palladin. This bread is best enjoyed as an accompaniment to heartier foods, as it's rather subtle in flavor. Toasted and smeared with avocado and a drizzle of olive oil would be perfect! Sourdough- the official bread of San Francisco. In fact, the lactic acid bacteria, which gives the bread its sour taste, is called Lactobacillus sanfranciscensis. Although it's named after this city, you can produce perfectly delicious sourdough anywhere in the world. This is a straightforward recipe. Just flour, a tiny pinch of yeast, water, salt and starter. What makes it different is the amount of starter used. 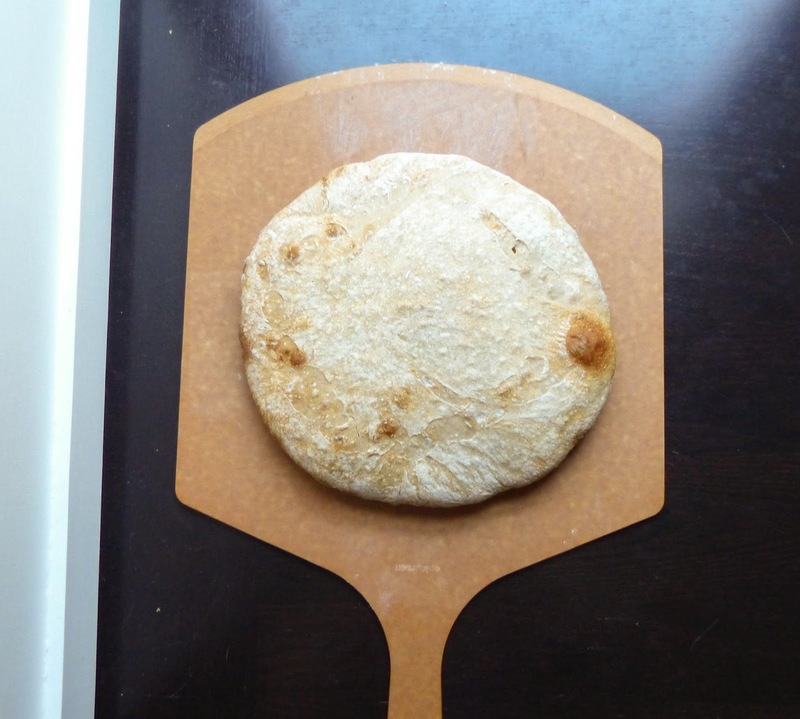 While most breads so far have used a smaller ratio of starter to flour, this one uses almost as much starter as flour. The result is a wetter, more sour dough, which we shape into a boule. Sourdough is best eaten plain, to fully taste the sourness. It also makes an amazing grilled cheese sandwich. Even if you don't live in San Francisco, you can still enjoy a delicious sourdough loaf at home.